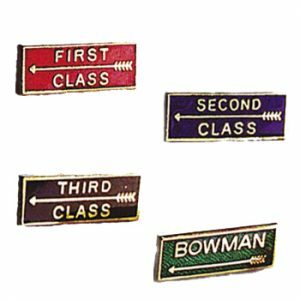 Badges are often awarded to an archer when they reach a new outdoor classification level. There are 4 levels to reach 1st, 2nd, 3rd and Bowman. Perfect for clubs to encourage and reward progression. There are also two further classifications to achieve: Master Bowman and Grand Master Bowmen. These badges can only be gained by achieving certain scores in Record Status Tournaments and the badges are only awarded through the governing body Archery GB.